As life progresses, you are guaranteed to face a variety of circumstances, changing environments, and new roles that require you adapt to them. A personal development plan will help you to handle the pressures that come with the continuous changes and challenges, so that you are well-equipped to excel in all the areas of your life. 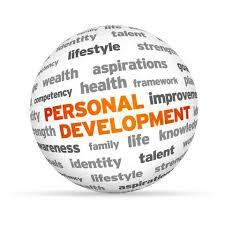 Personal development is an ongoing process and self-improvement either in your career, in your education, in you personal life, or in all of these areas. It is about setting goals for yourself and putting plans in place to reach those goals. Establish the goals you want to reach in all areas of your life. Look for the weaknesses that need improvement in order for you to reach these goals. Identify the different opportunities to develop the weaknesses. Set up your plan of action for improving the weaknesses. Make time for nurturing your strengths. Record the outcomes of your development. Evaluate your outcomes against your goals. The journey of self-improvement is an ongoing process of constant learning. It gives you the opportunity to evaluate your strengths and weaknesses and to work on them. Remember, personal development can help you in all the areas of your life and is therefor largely a personal journey, but one that needs to be prioritised. The benefits are that you grow as a person while growing your skills, you improve your self-awareness, and you boost your confidence.